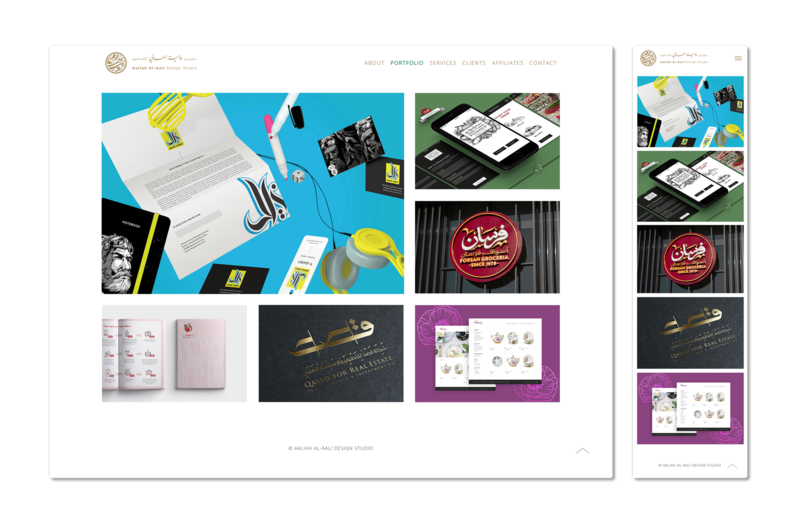 Aaliah Design Studio is founded by Aaliah Al–Aali; a Saudi graphic designer based in Riyadh, Saudi Arabia. 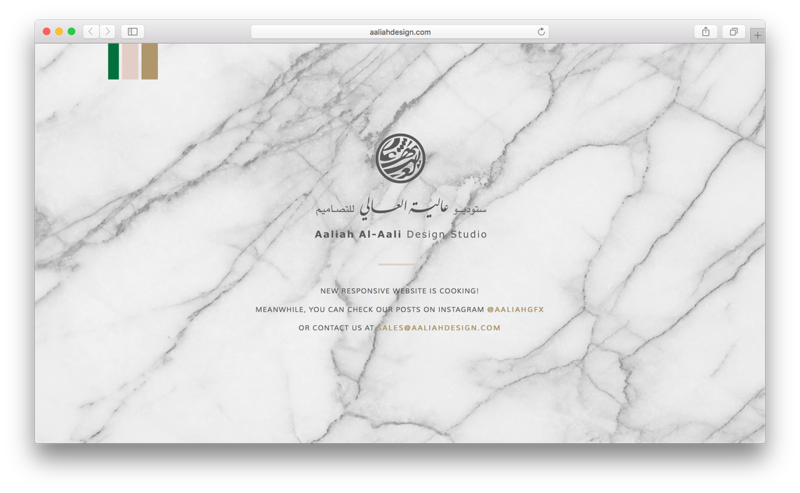 The Aaliah Design website highlights all of their amazing work in graphic design and branding. They brought me on to have a complete redesign, with the main aim of bringing it up to the latest responsive standards. While all the redesign magic is happening, Aaliah created a brand-focused coming soon page, which I transformed into a webpage using a mobile-first responsive approach. Unfortunately, the redesign never saw the light, due to the rebranding of the entire studio. We still got a lot of work done together, work that I proudly wanted to share.